Watch highlights from the Hellenic Museum's previous "Trial of Orestes." 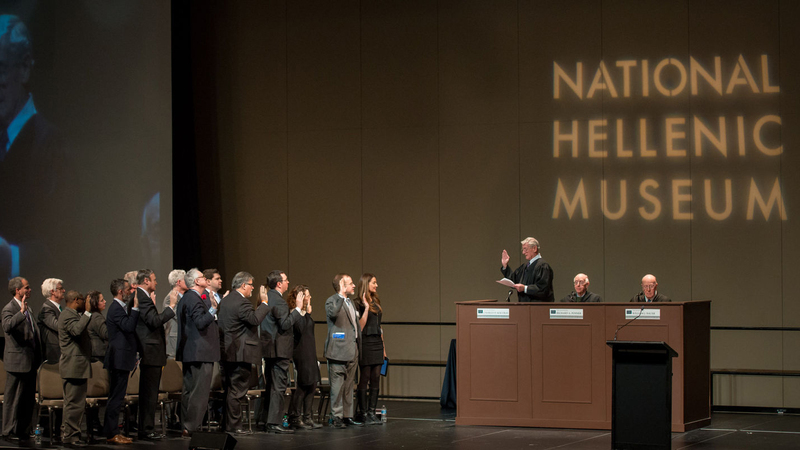 Using some of Chicago's more-high profile lawyers and judges on Thursday – including former U.S. Attorney Patrick Fitzgerald – the museum presents a mock trial of the mythological Antigone, Oedipus' daughter who was sentenced to death for defying King Creon and burying her brother. After each side makes its case in Antigone vs. Creon, the audience will ultimately decide whether Antigone's action was treason or an act of familial duty. Past Hellenic Museum "trials" included those of the philosopher Socrates and Greek mythological prince Orestes. With the trial of Antigone, the Hellenic Museum plans to highlight the concept of natural law vs. legal rights – a turning point in western thought very clearly seen in the case of Antigone. The trial is held at the Field Museum's James Simpson Theatre at 6 p.m. Thursday. Tickets are $100 with $50 student tickets available. For more information, visit the National Hellenic Museum's website. A prominent work of Chicago public art has been out of the public eye for almost five years. Titled “Above and Beyond,” the installation commemorates American soldiers who lost their lives in the Vietnam War. Preservation Chicago has released its annual list of the most endangered buildings in Chicago, a list they usually call “the Chicago Seven” – but for the first time in 14 years, the organization has included an eighth structure.